iOS Notifications: Problematic or Primarily Perfect? Kevin: So I hear there’s an Apple event tomorrow, and it’s likely geared towards introducing the next iteration of iPad hardware. That’s all well and good, but I wonder if software will be the star of the show as Apple gives us a glimpse of iOS improvements. While I think highly of Apple’s mobile platform, I still can’t believe that after nearly four years, the notifications in iOS are so atrocious! Although I dumped my iPad for a smaller Android tablet, I still keep a new iPod touch around for apps, surfing, Netflix (s nflx), email and more, but every time I turn the darn thing on to quickly check something online, I get a barrage of activity-stopping notifications. That has to change soon, and perhaps this week is the when we’ll finally see notifications become more useful and less intrusive like on other mobile platforms. Darrell: I agree that software will most likely be the star tomorrow next to an incremental hardware update, but I’m not so sure notifications will be a big part of that lead role. I’m not denying that iOS notifications are clumsy; they are. But at the same time, I don’t think Apple will make significant changes to its existing system, for the same reason iOS doesn’t resemble Android (s goog) or other mobile operating systems in a number of ways. iOS notifications may seem simple and clunky to advanced users, but they do one thing quite well: they notify. Android notifications, in my experience, require a degree of fiddling that could easily exasperate less tech-savvy device owners. iOS notifications may not be ideal, but they make sure you stand the greatest chance of seeing something, when compared to notices on other platforms. Kevin: Hmmm… I think calling iOS notifications “clumsy” is being generous. If I want to fire up my iPod touch first thing in the morning just to scan for email that arrived overnight, I shouldn’t have to tap a dozen or more notifications from other applications before getting to the task I want to use the device for. You’re right that notifications do what they’re supposed to do, but the method is inelegant and disruptive, at least for me. I’m glad you mentioned Android, because notifications there are the antithesis of the iOS approach. Notifications are all bundled up in a non-disruptive, pull-down “window shade.” And in my above scenario of checking email at first light, I can simply ignore the Android notifications or with one screen tap, I can dismiss them all. It might not be the most perfect approach, but it doesn’t stop me from doing what I intended to do with the device. And the notifications are always visible as small icons at the top of the screen, so there’s little chance of missing them. Darrell: See, I would actually argue the opposite. The icons at the top of the screen are what irritate me most about Android notifications. It reminds me of the days of depending on the Windows taskbar to keep me up to date. I much prefer Apple’s simple sequential method that gives focus to one thing at a time, and I think that you’re part of a relatively small minority in terms of running into a notification pile-up when you leave the device unattended. Recent studies suggest that iPhone users have downloaded an average of 40 apps per device. I’d argue that if you account for heavy app downloaders like myself and other tech enthusiasts, that number is on the high side when it comes to how many apps most iPhone owners are actually actively using on their device. Even with my many screens of apps, I generally only have to dismiss about two or three notices in the morning. Apple, unlike its mobile competitors, continues to embrace a strategy of ongoing simplification when it comes to interface design. I don’t think it’ll introduce added complexity and potentially confusing elements to its mobile OS in the interest of catering to users with high technical proficiency and expectations based on a subtle awareness of how computing systems have generally worked in the past. This is the same company that doesn’t allow apps to repurpose hardware buttons, after all. Kevin: Interesting, because I’m actually not a heavy app downloader, yet I still have a queue of notifications. Perhaps I’m just using more apps that take advantage of push notifications, but ultimately I think the keyword here is “queue.” The fact that iOS notifications are implemented in a more linear fashion than Android offers less flexibility. With Android, I can choose which of my notifications I want to act upon, instead of being forced to deal with the notification that iOS pushes atop my app. That actually raises another point: I’ve occasionally had media activities interrupted in iOS due to a notification. That should never happen in my opinion, because I should be in charge of which notifications and activities to see on my phone, not the other way around. I had thought that by now Apple would take advantage of Rich Dellinger, who it hired away from Palm last summer. Dellinger was the brain-child of the webOS (s hpq) notification system, which I find even more elegant than the one used for Android smartphones. In fact, the new Honeycomb tablet notifications are more like that of webOS. Maybe I’m being overly optimistic, but I think — no, I hope — that Apple recognizes that it still uses an sub-optimal notification system and we’ll see the fruits of Dellinger’s labor in the form of a new system soon. Darrell: We might see a change, but I don’t think it’ll address the areas you’d like to see it address. I think Apple will keep intrusive notifications, and stick with the alert dialogs it has been using since the feature was first introduced. Why? Because those best embody the communicative purpose of visual notifications on a phone, which is still primarily a communication device, and only secondarily a means of media consumption. That’s not to say change is impossible, but I think it’ll go a different route. Apple’s notifications aren’t deeply flawed, but they are missing one crucial element: a central dedicated notification management page. I think that’s what Apple will bake into iOS 5, if it touches notifications at all. This would simply add a notification history to existing tools, which make it even easier for users to make sure they haven’t missed anything. But if you’re hoping for more, I think it’s only fair to notify you in advance that you’re probably going to be disappointed. Which side are you on? Keep the debate going in the comments. I generally turn off notifications. Never quite sure what they’ll be like or how often I’ll get them, so I tend to avoid them. With all due respect Kevin, if you really get “a barrage of activity-stopping notifications” every time you turn on your iPad/iPhone/iPod you are doing something wrong, it’s not iOS. For one thing, you can’t be very productive if you are constantly interrupted. Also, the volume of unnecessary alerts will obscure the really important messages (like the boy who cried wolf). Everyone’s use case is different, but for me, I get so many e-mail, Twitter and other messages during the day that there really isn’t any point in using audible and/or popup alerts. Every time I open those apps there will be new messages waiting. So I open them when I am ready, and deal with the newest information. The only popup messages I get are the calendar alerts where I specifically requested a notification. That only happens a few times each week so I really want to notice those and iOS handles them well. Which apps are giving you all these alerts? Well, I’m not sure I take kindly to the “you are doing something wrong” comment, but I hear you. ;) I use the typical social networking apps that most use (FaceBook, Twitter, and such) but also one app for internal work communications — not sure I can say which, so we’ll leave the name out of it for now. Many of these apps have activity during my sleep hours, which is fine. But your comments actually make my point: you’ve turned off notifications because too many of them were routine. Instead of notifications, you simply open the apps on a regular basis. And that’s fine. Why don’t you use the notifications for them? Because (and I’m not trying to presume anything here, just taking a stab that I hope you’ll correct) all notifications are treated at the same priority level in iOS. As you said, they’re for alert messages, not routine announcements. An even better point is your comment about interruptions: “you canâ€™t be very productive if you are constantly interrupted.” I couldn’t have said it better! And that’s my ultimate point: iOS notifications ARE interruptions. On Andoid or webOS, they’re aren’t. Maybe I didn’t make that point clear in my notes to Darrell, so shame on me if that’s the case. I can understand the argument for simplicity, but I use my phone for certain business communications that have a lot of alerts. I am at the point where it is just too overwhelming. A lot of the time I am using my phone and will get an alert, accidentally hit the CLOSE or OKAY button without ever seeing what it was for, and then have to start searching around my phone to figure out where it came from. It is a huge pain. The current messaging technique needs improvement. The current messaging technique is very similar to the way that Ads work within apps. They either yank you away from what you were doing or just flat out interrupt your workflow. That was what Steve Jobs talked about when Apple created iAds. They shouldn’t be so intrusive and interrupt the workflow within the app. Apple should take some of their own advice with regards to the iAds model. Kevin: Settings > Notifications > and you can turn them on and off per app at will. If you aren’t using them, just remove them. So I guess we cancel each other out. I hear you on turning them off: but that’s not the problem. I have the notifications on for the services and apps that I want. 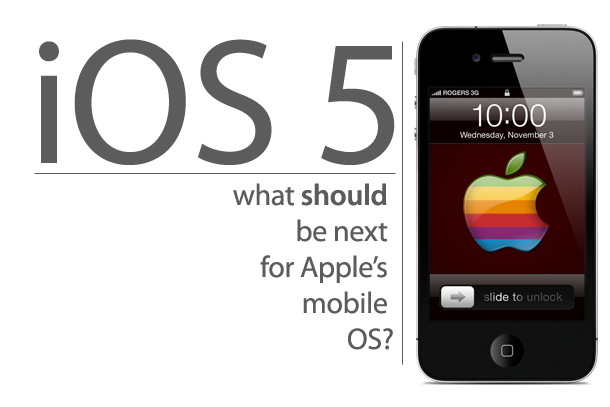 But not all of those are the top priority at any given moment and yet, to iOS, they are. That’s the issue: need a finer level of control or less intrusion IMO. I agree that the notification is for base level users. I agree that it at times disrupts an experience. But, I will say that Android notifications are not desirable for the simple reason that I don’t want to see every notice. Apple allows me to prioritize my screen level experience, and the apps I want to see — Facebook, Skype, LinkedIn — are right there. The problem is blown out of proportion in my opinion. Good point on the customization level, but Android leaves that the to app developers. For example, in Twitter for Android, I can specify the same notification options as I can for Twitter on iOS. It’s the same settings but instead of the iOS settings, which aggregates those controls, Android does it at the app level. In other words, it can be done in Android, just as it can be done in iOS. Internally within Cupertino Apple employee’s are using a dot lock screen, much likes Android Vanilla, where you slide your finger along a maze of dots and unlock the phone through a pre-defined function. This will I have no doubt come with iOS 5.
of course iOS will get new notifications, they have conformed to the competition in almost every way the last couple years (multitasking, folders, etc). Apple is so far behind now that blogger after blogger is abandoning it like the plague. Apple is fast approaching the only demo left still interested is moms & teenage girls. I was once bothered by an obtrusive notification, but it was maybe a year ago. Does that count? Truth is, I have never really noticed this to be a problem at all. I choose to keep nearly all of my notifications disabled. My thinking is, if I enable a notification, I actually want to be notified about it (try to keep up with me here). I think iOS works pretty well in that regard. I’m not sure what logic drives people to enable a ton of notifications, and then moan about not having a way to “manage” them. Managing stuff smacks of something like email, and I get enough kicks trying to maintain Inbox Zero. Am I missing out here? What are these notifications (SMS, FB, Twitter?) and why can’t you just turn them off? p.s. It’s an honest question. p.p.s. Oh, and I have about 7 or 8 screenfuls of apps, so it’s not as if my lack of notifications indicates any great restraint there. p.p.p.s. Off topic — what’s got Kindroid all riled up? Bitter much? Totally agree. Why not turn off the notifications if you don’t want them? Never had this issue and I’m an app junkie. Goodness knows how many apps I have at any one time and a large number have push. I just say ‘no’ when I first launch a new app if it asks me if I want to enable notifications and I don’t. Perhaps this is mainly an issue for folks who only check the device once or twice a day? Funnily enough, my friend uses an Android phone and yesterday said to me the best way to contact her is via text or email as she misses seeing direct messages in twitter, beluga etc. She isn’t a techy person (understatement) and she needs big obvious notifications. A lot of people with no prior gadget experience are buying Android smartphones (mostly because they’re cheaper than iPhones) but they still need an uber user friendly simple interface. I want to be notified, not interrupted. That’s like having a mailman that barges in your house and drops mail on your lap while you’re having dinner with your family. There is already a mechanism for “non-interrupting notifications” — it’s called email. The last thing I need is for Apple to turn iOS notifications into another inbox, full of notifications that I don’t care about, that I have to sift through to separate signal from noise. The current behavior is exactly how I want it. A simple notification light like on the majority of other smartphones would be nice on iPhones, yes simple that’s what ios is right!? Darrell quoted “Why? Because those best embody the communicative purpose of visual notifications on a phone, which is still primarily a communication device, and only secondarily a means of media consumption.” This comment by Darrell is rich. Apple would not want anything to denigrate the communications purpose of the iPhone. The words “dropped calls” should have choked and gagged Darrell before that sentence was uttered. And in support of that primary communication mission, the App Store of chuck a block full of apps to improve the primary communication function of the iPhone. With the entertainment function apps quietly filling the void. Darell’s, definitely! I’ve got 250+ apps on my phone with many of them having notifications enabled and I rately have more than 2 or 3 popups in the morning. For me the current implementation works fine! I have had and iPhone since the original came out and love them for the vast majority of mobile computing. But, the notifications really stink. They are intrusive, lack any kind of history, or search capability. My next phone won’t be until iPhone 6 and if they aren’t improved by then I would seriously consider changing to a different platform. I hate iOS notifications in their current form. I hate the disruptive popups, simply retarded! And I hate it when I accidentally dismiss a notification and I have no idea what it was. This happens most often when I pick my iPhone up, press the home button, then proceed to unlock it all in one fluid motion by force of habit. After it’s too late I see that flicker of a notification on my screen, but it’s gone now! I love Apple, but there are a few stupid things that simply astound me. This is STUPID Apple, fix it! yeah TJ you nailed it. The inconvenience of iOS notifications isn’t just a matter of not being comfortable with modal interruptions. There’s a fine line between simple and simplistic and they stand on the wrong side. It’s not simple and good enough, it’s just undercooked. I was really surprised to read this moderately long article on iOS notifications and find that it failed to address the key problem highlighted by TJ here: it is very easy to dismiss a notification inadvertently before actually reading it. The other problem I sometimes find is that, even on the large screen of an iPad, the notification window is too small to show the full text of the notification. I don’t really care whether Apple does anything to make notifications more tasteful or unobtrusive, but these are basic usability flaws. I agree. I like the notifications in iOS. If I opted in to be notified by an app then I want to be notified and I think iOS does a good job of it. The only one who is incorrect here is you, because there is no such thing as correct English usage. Every permutation is right somewhere and wrong somewhere else. There is no central authority, not even in England. When you are tempted to correct someone, just don’t. You will always, always be wrong. Yet there is always a force pulling us back to “more commonly” accepted conventions for grammar and phrasing, namely, efficiency/readability. Incorrect, or if you prefer, “unusually variant” word usage is cognitively intrusive and distracts the audience from you’re message. Don’t see anything wrong with the notifcations. I think a lot of people in the tech community have jumped on the “I hate iPhone’s notification system for unnecessary reasons” bandwagon. I think suttle changes such as a grouping like described in the last part are more probable to expect and would be welcomed, but the random icons on the top android bar is ugly and confusing; two things Apple isn’t about. Yes I see. That static grid of icons raises the artistic styling of the iPhone homepage to the level of a say an…..Andy Warhol bingo card. Sheer genius to stack rows and columns of like sized icon on a conveyor belt. And yes rowing through that conveyor belt of icons is so much less confusing and so much more convenient than say……having five homepages onto which you can put your most used icon in any arrangement that suits you. And yes, touching the top of you home screen and easily pulling down a screen that has all of your notification conveniently grouped for review, would exceed the capabilities of most iPhone users. Further, while my 11 year old granddaughter has gone into my Droid X settings and changed the notification tones for my emails, text messages, and voice and phone calls to surprise me, I can see how mere iPhone users couldn’t be expected to master that function. It boggles the mind to think that millions of iPhone user, unable to cope with the most modest amount of technical skill are at this very moment in positions of responsibility and trust. What you’re missing is we don’t want to configure the device. We don’t want to make icon arrangements. The complexity on iPhone is within the powerful native C apps, not in the interface. The work is in the multitrack audio recording I’m making, or HD movie I’m editing, not in the interface. It’s not that I can’t learn the Android interface if I wanted to, but â€¦ zzzzzzzzz. This debate has been going on for years. Nerds called the Mac a toy and derided those who didn’t want to learn DOS as not being serious enough. What did that ever get those nerds? The luxury of being 10 years behind the curve. So you basically have to recognize that it is both great that Android provides an interface for techie nerds to play with and that iOS provides an interface for music nerds and video nerds and writing nerds and all these other kinds of non-techie nerds to use. But looking down your nose at people who value the interface just getting out of the way is a waste of time. That is like 90% of humanity. They are talking about when a dialog box appears and tells you something, like you have a new text message. You are demonstrating the best feature of the existing notifications system, which is you don’t have to learn “how to receive notifications”. It is by far the most approachable solution on any platform. But it doesn’t necessarily scale for some users who have propellers on their heads. I get it now. I have always elected to disable notifications on every iOS device. No, wonder I have never seen one.